Vintage Posters are artfully crafted and vividly striking. When framed, they can become a focal point for any room. Whether you chose an eclectic frame to complement the era of your poster or keep it clean with a classic style, framing will create a finished piece that is polished and protected. The possibilities are endless. Choose to frame close to the image for a contemporary spin or use a mat and fillet for a more traditional feel. Unite a series of Vintage Posters with the same frame and hang in a row or as a grid. Create a gallery wall with a collection of various posters each uniquely framed. Command attention with a bold, oversized framed poster. 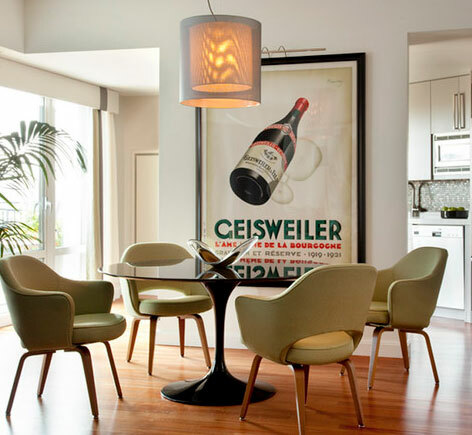 Vintage Posters create a space that reflects your personality.